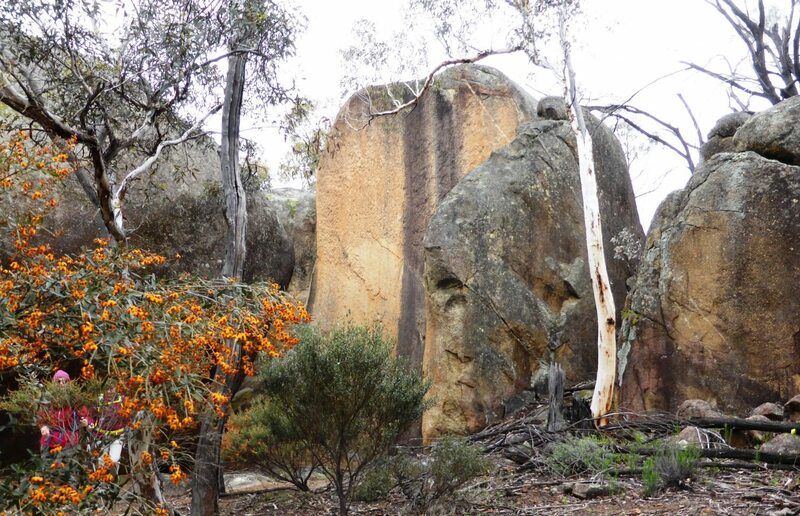 Many walk areas in the Darling Range include areas of special significance for the aboriginal people. Aboriginal sites are a part of the heritage of the whole community and it is important they are respected and not disturbed. Usually the sites are not obvious, but moving, breaking or removal of rocks, trees or other natural features should always be avoided in reserves or protected areas (including the building of new stone cairns on outcrops!). It is against the law to disturb a site or to remove artefacts. For information on aboriginal sites in the region see the DIA’s Aboriginal Heritage Enquiry System.